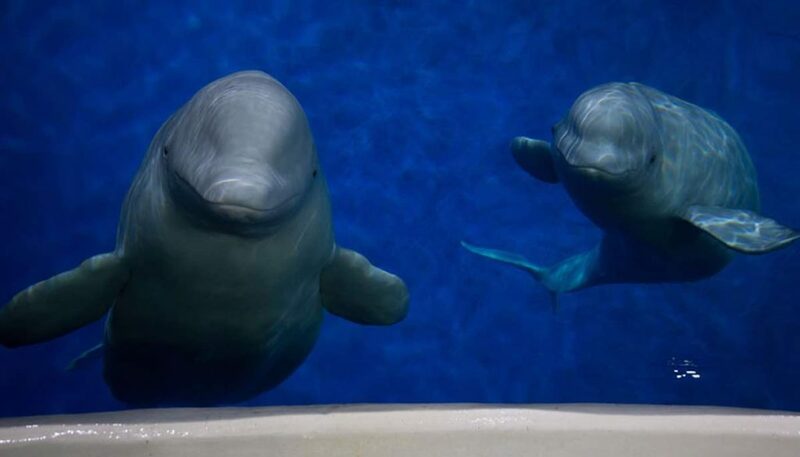 Little Grey and Little White are the two whales currently living in a concrete tank at Changfeng Ocean World in Shanghai. For years, animal rights activists have been urging the aquarium to rehome the 12-year-old belugas to a healthier, more humane environment – but since the whales have been raised in captivity, they would be unable to survive in the wild. Thankfully, conservation group Sea Life Trust has come up with the perfect solution. The organization is transforming a rocky oceanic inlet into the world’s first open sea sanctuary for whales and dolphins. More info at Good News Network.